If you’ve got 10 days to spend and will be in Japan during the warmer months, then consider adding Takayama to the classic Tokyo-Kyoto itinerary. 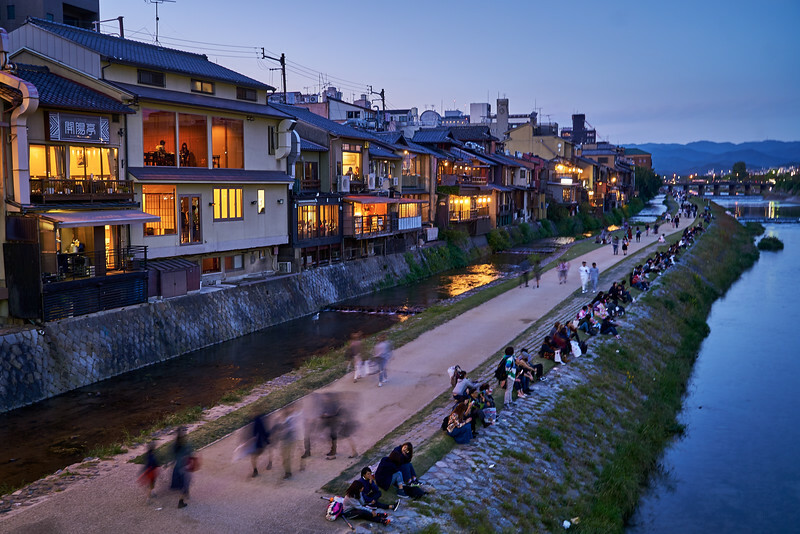 On the doorstep of the Japan Alps, Takayama is conveniently located between Tokyo and Kyoto. Perfect for: First time visitors to Japan who like mountains and who will be in Japan between late March and late October (when the snow has melted in Takayama and the weather is warm). Places visited: Tokyo, Takayama and Kyoto. Arrival City/Airport: Most people fly into Tokyo’s Narita or Haneda airports to do this itinerary. You can also fly via Kansai International Airport (KIX), which is the nearest international airport to Kyoto/Osaka. Japan Rail Pass: A one-week Japan Rail Pass will save you a bit of money. For more details, see our Japan Rail Pass: Is It Worth It? page. Be sure to activate your pass on the day you leave Tokyo (not before). On your first full day in Tokyo, you’ll explore the modern west side of the city. See our full Tokyo Two-Day Itinerary for details. On your second full day in Tokyo, you’ll explore the traditional east side of the city. 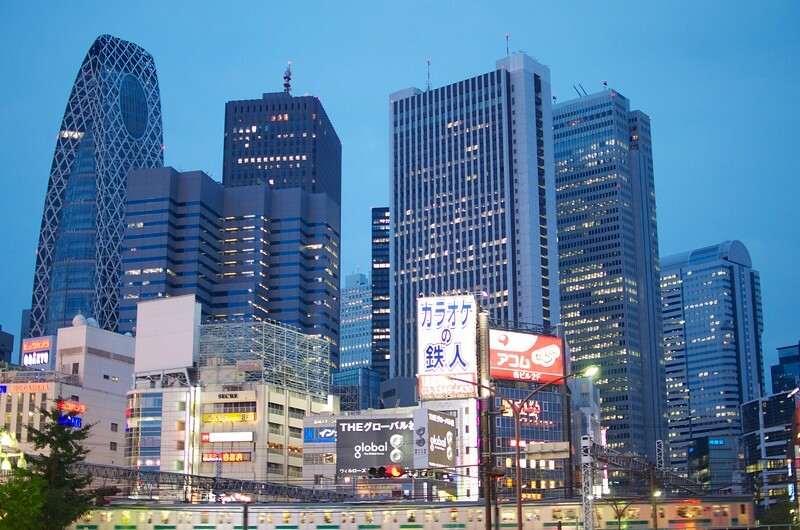 See our full Tokyo Two-Day Itinerary for details. 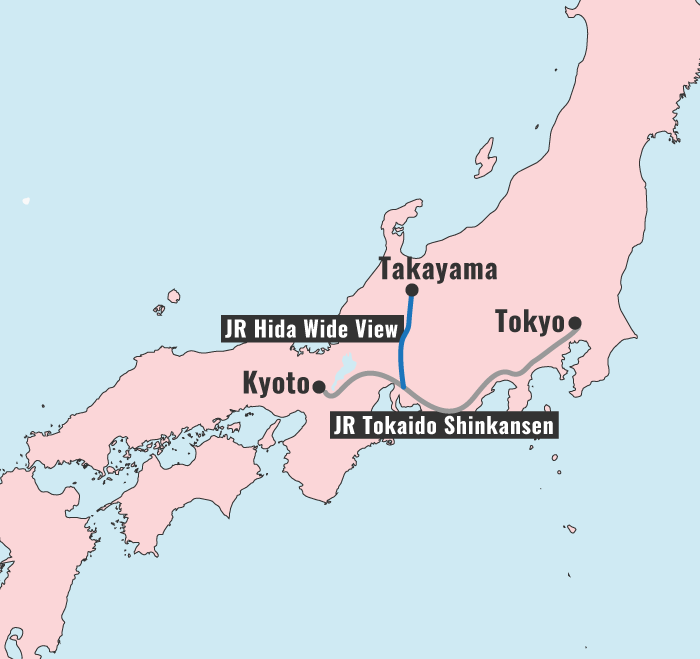 Take the shinkansen from Tokyo to Nagoya and change to a Hida Wide View express train to Takayama. The total journey takes 4 hours, 20 minutes, and costs Y13,930. The Japan Rail Pass covers this leg. For details, see our Getting to Takayama page. On this day, you’ll explore the Sanmachi Suji district, the heritage houses, the Takayama Festival Floats Exhibition Hall and Sakaurayama-Hachimangu Shrine. 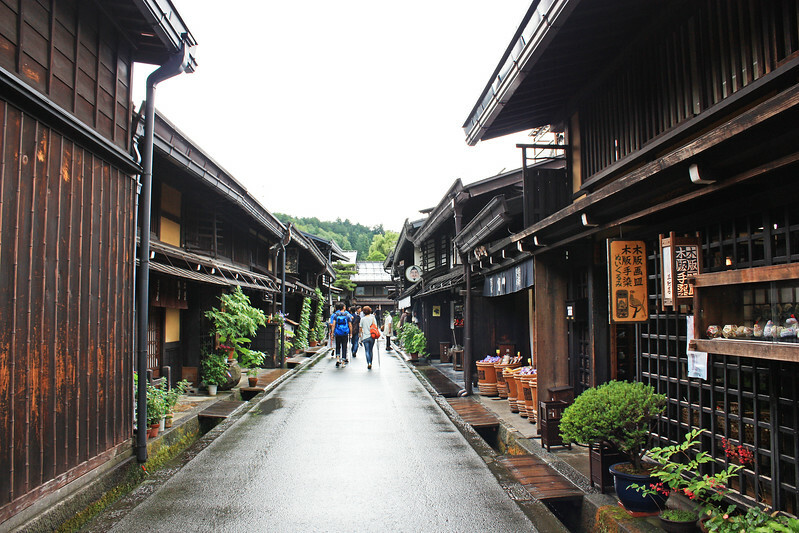 For details, see our Must-Do Takayama One-Day Itinerary. If you have more time to spare in this area, consider staying another day and taking a day trip or overnight trip to the mountain sanctuary of Kamikochi. For details, see the Attractions Around Takayama section of our Things to Do in Takayama page. Take a Hida Wide View express back to Nagoya and take the shinkansen to Kyoto. The whole journey takes 4 hours, 20 minutes, and costs Y13,930. The Japan Rail Pass covers this leg. For details, see our Getting to Takayama page. On your first full day in Kyoto, you’ll explore the temple-packed Southern Higashiyama area. See our full Kyoto Three-Day Itinerary for details. On your second full day in Kyoto, travel west to the Arashiyama district, which is home to the famous Arashiyama Bamboo Grove. See our full Kyoto Three-Day Itinerary for details. Take the shinkansen back to Tokyo. 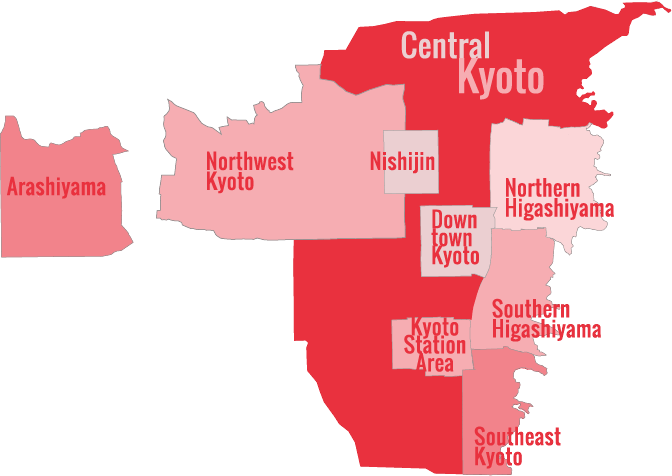 For details, see our How to Travel from Tokyo to Kyoto page. You’ll probably have some time in the afternoon to do some last-minute shopping or sightseeing. Note, if your flight out of Tokyo leaves after 3pm, you might be able to spend this night in Kyoto (see the note below). Return to Narita or Haneda airport and fly home. See our Tokyo Airport Transport page for transport details. If your departure from Tokyo is after 3pm, you do not have to spend your last night in Tokyo; you can leave from Kyoto and still make your flight. As a rule, to travel from Kyoto to Narita takes around 4 hours, with transfers. The best way is to take a Hikari or Nozomi shinkansen to Shinagawa Station in Tokyo and transfer to the Narita Express there (if you change at Tokyo Station, you have to walk VERY far to reach the Narita Express platforms). If you you’re flying out of Haneda Airport, allow about 3.5 hours travel time from Kyoto to Haneda. The best way is a Hikari or Nozomi shinkansen to Shinagawa Station in Tokyo and then the Keikyu Line to Haneda.